This year I’m using VR both as a project, and as a motivation tool – to create a brochure. My 6th graders understand some editing and formatting skills. 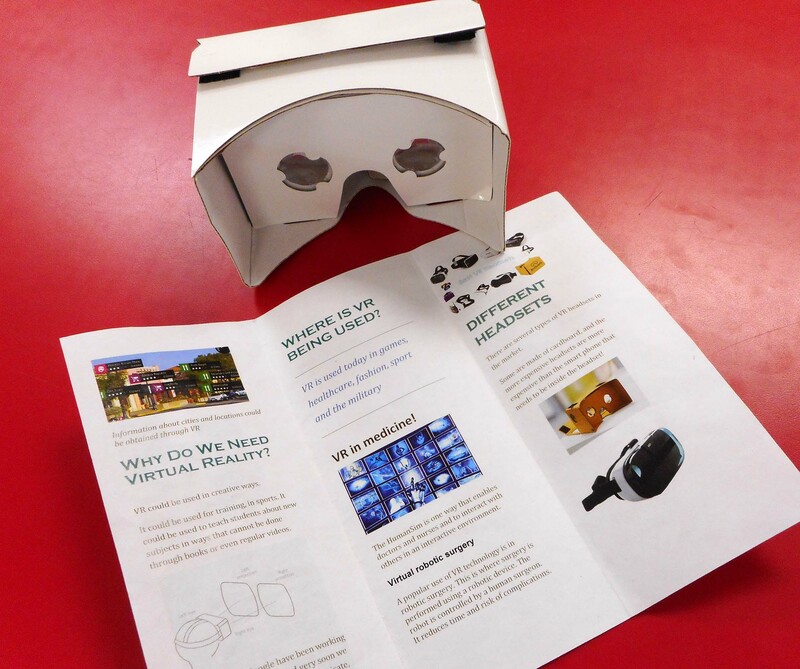 So to raise the bar, I got them to research and put together a brochure on Virtual Reality. 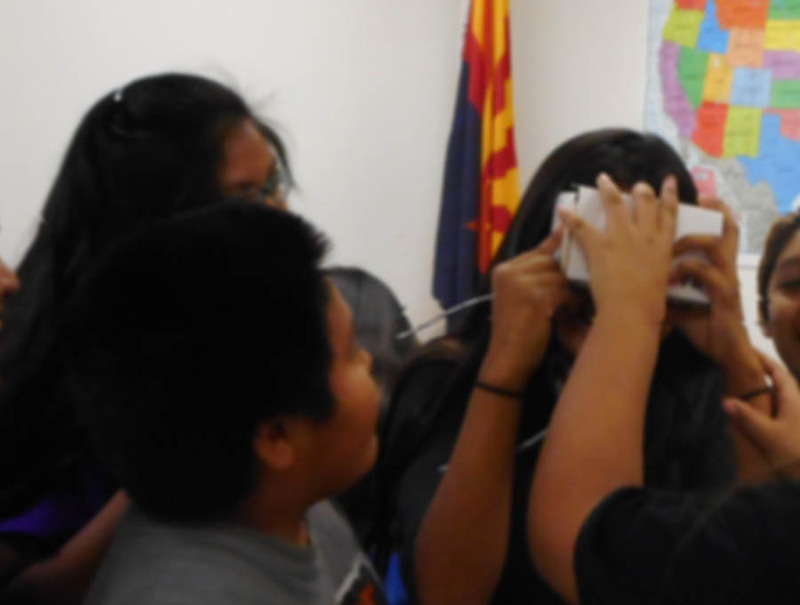 The incentive was that any student who showed me they had three panels formatted, and with required content, would get to experience a VR roller-coaster ride. Didn’t think a 40-minute class could move so fast! 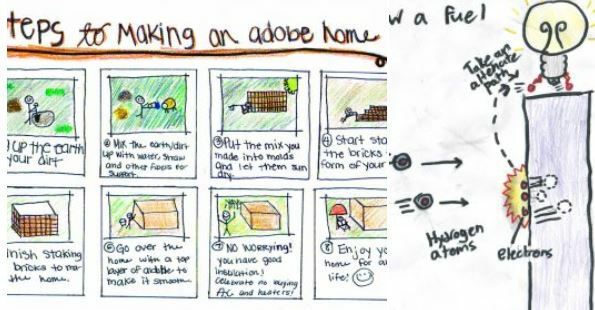 Funny how sneaking in a piece of tech into a lesson can accomplish much more than a hand-out! Storytelling with Google Earth. Neat multimedia tool! I found an interesting way to use Google Earth to enhance a lesson. It’s called TourBuilder. It’s set up like a slide deck, and is quite intuitive. You need to have a Google account to log in and use it. Ideally you need to have your images and videos ready to use. But you could search and embed them from other image sources – including yours, if your images are searchable. I tried my hand at it, creating a story based on a fascination with geology, and photography of rocks, canyons, geysers, and gorges. The ‘tour’ starts in Arizona at the Grand Canyon, hops across to Wyoming to Yellowstone, and then to Ithaca, NY. It’s possible to use this as a way of documenting a road trip, for instance, and attach specific dates to each stop. A great way to supplement journaling, and deeper, and richer than FB posts or tweets. I liked the original Google Classroom, for how it simplified how a learners could belong to a ‘class’ even though they may not be in the same building. Or country. But the latest improvements to Classroom take it further, letting anyone who plans to teach create a lesson and connect with students. I just created a class as an experimentt. It’s a class on Writing and Publishing — the basis for a project this summer. Lots of potential in how they hand over the tools to engage students, and receive feedback.It’s evident Google is staking its claim on a sector ready for disruption. Especially since Khan Academy has prepared the ground for it. As the New York Times put it, Google has practically out-maneuvered Apple in the education market. More than half the nation’s primary- and secondary-school students now use Google education apps, it says. 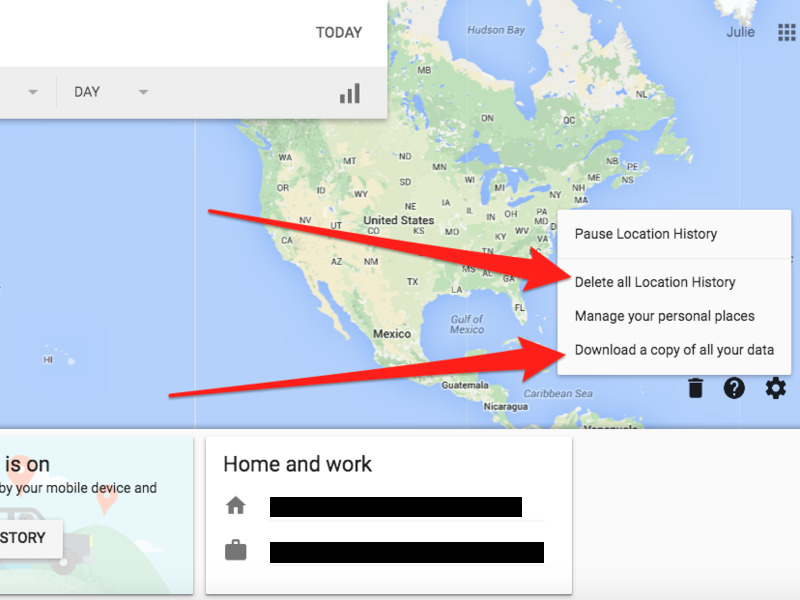 If you haven’t already done this, try Google Maps Timeline once you are logged in to Google. It pulls up a map of where you’ve been. It lets you click on each date in the past few weeks, and (if your location setting was on) you’ll see how Google has recorded exactly what time you stopped at any address, and left. So if you crossed a border, it will give you precise times when you passed through the border. Change your default settings on your phone. Go into Google’s settings and delete your location history. Avoid using clicking on the location icon if you could help it. But we often forget. Or worse, think this information is harmless. This is the kind of information that students ought to know. Not just to become paranoid about Google, but to become more aware of our data. Especially when it seems like logging into Instagram and Snapchat is a pre-teen default setting in itself. Just had to share this. 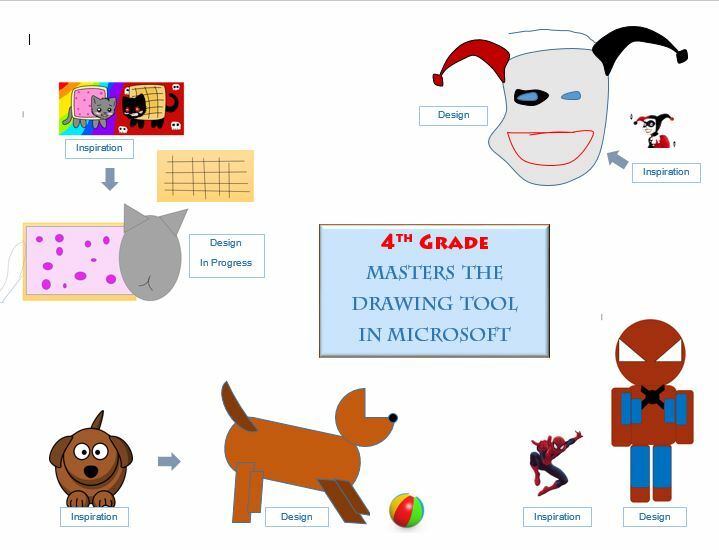 4th graders using nothing but the tools in Microsoft Word. Are they ready for Adobe? See some previous work, here.